For most business owners, there is little doubt that using Google services to market their companies is a good idea. There may be confusion, however, on what these services are called. Google services has evolved greatly over the years as have the names. In an attempt to consolidate some of these services while introducing new features, Google introduced a new one-stop-shop tool called Google My Business. This article will explain more about this change and what the impact will be for business owners. The purpose of the new Google My Business tool is to make it easier for marketers to update business information across Google Search, Maps and Google+. The tool already has an impressive array of features. Besides being able to update the business info on Search, Maps and Google+ from one place, it also makes it easy for customers to connect with businesses. Marketers can add photos of their business as well as create virtual tours of the business interior to help customers see why they should choose a particular company. For businesses who use Google+ for social media, Google My Business lets them connect directly with the fans and customers by sharing news, events and other important updates on their Google+ page through the tool. 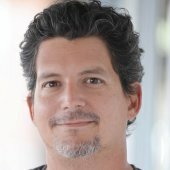 For reputation management, the tool makes it easier to stay on top of reviews from across the web, and respond to Google reviews. Even AdWords users will see some reports, custom insights and integration with the AdWords Express part of the Google My Business tool. 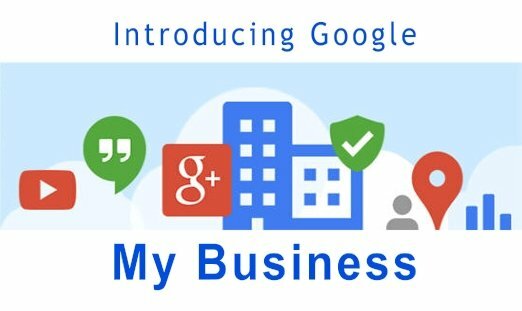 For business owners who previously used Google Places for Business or Google+ Pages Dashboard to manage their business information, Google has done the heavy lifting and the users’ accounts have been automatically upgraded to Google My Business. Marketers and business owners will also be able to access the new tool from their mobile device. According to reports, a Google My Business app has been added to the Google Play store and an iOS version is in the making (one of the few times that Android gets an app first). The end result of this change will be to help business owners maximize the effect of their Google presence. Before, many users accessed their Google Services separately and in some cases, services were started but then quickly forgotten by the company. It’s not uncommon for businesses to have multiple Google+ pages or business listings due to marketers creating different accounts as new services were added (this is especially true when marketing roles change hands and email account passwords end up lost). Google My Business will encourage business owners to consolidate their Google services so they can coordinate everything from the one tool. The introduction of Google My Business is another example of good things getting better at Google. Creating an easy-to-use interface that lets marketers connect to all their Google services will make them likely to use them more often and with better efficiency. For more research on the benefits of Google for marketing, check out this article about stats on Google+.